If you know me, you know I’m a popcorn freak. Like, I can eat obscene amounts of popcorn without even thinking twice about it. A big bowl of fresh popped popcorn for dinner. My faaave. Hey…it’s a whole grain right!? Hehe. Going to the movies, I usually can’t stop myself from getting a bag. If I somehow end up without it, I sit there in the theatre pouting– yes pouting– because I’m jealous of all the happy people crunching away around me. Sure, maybe I sound a ‘lil crazy. But that’s my love for popcorn. Movie popcorn can be a bit scary though. The best thing to do is sneak your own freshly popped snack into the movies so you don’t have to be so concerned about the fake butter and excessive salt they use. 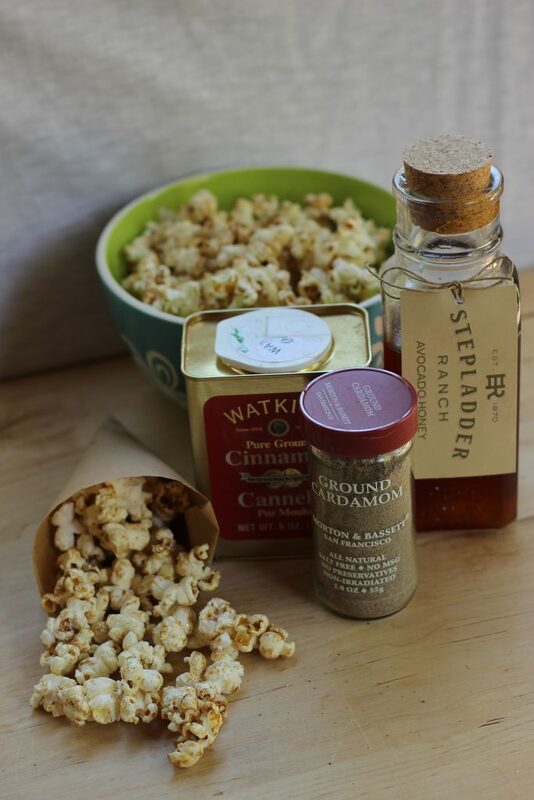 I absolutely love making stovetop popcorn. It’s so much healthier, and you can be super creative! I’ve been constantly fine tuning my favorite toppings. For all batches, start with olive oil in a medium pan with a tight closing lid (I like to use mine with a glass lid so I can see the kernels popping). 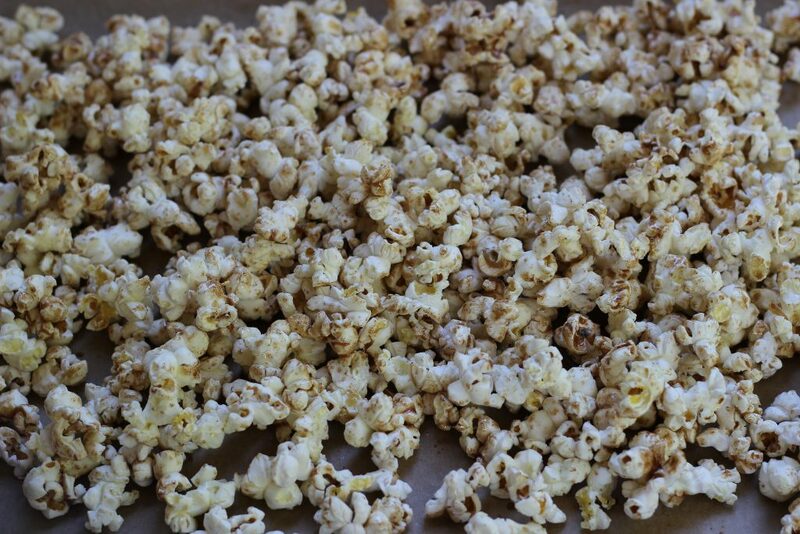 Add one popcorn kernel, cover the pot, and bring the oil up to temp on medium heat until the kernel pops. 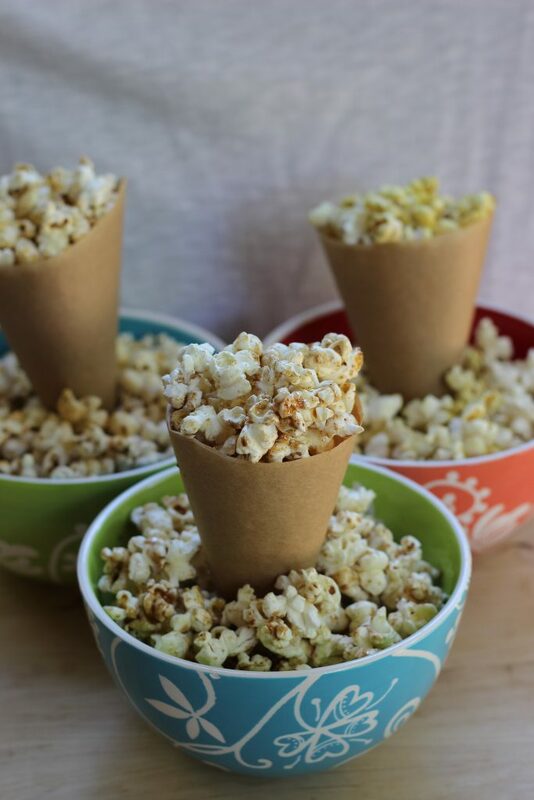 Carefully add the rest of your kernels, and cover. Cook, shaking the pan every once in a while until you hear a significant gap in the popping. Transfer to a large mixing bowl for the add-ins (The temperatures and timing vary depending on your stove and the pan you use). 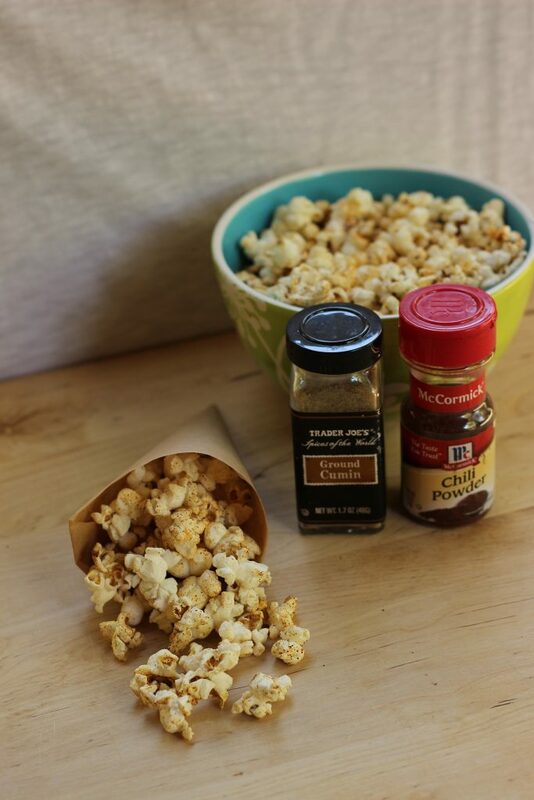 Mexican Pop: Simply add the chili powder, cumin, salt and pepper and toss to coat. Adjust seasoning to taste if needed. 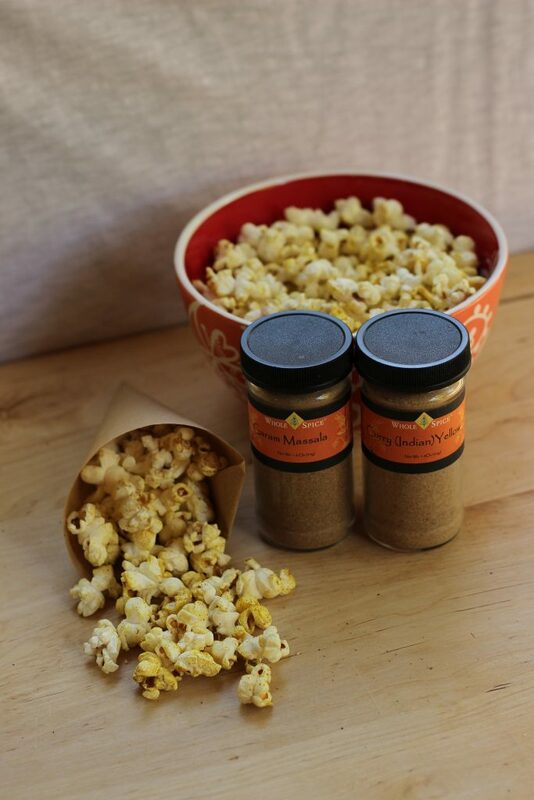 Cinnamon & Honey Pop: In a small saucepan, melt the honey on low heat until it thins out. Whisk in the salt, cinnamon and cardamon. 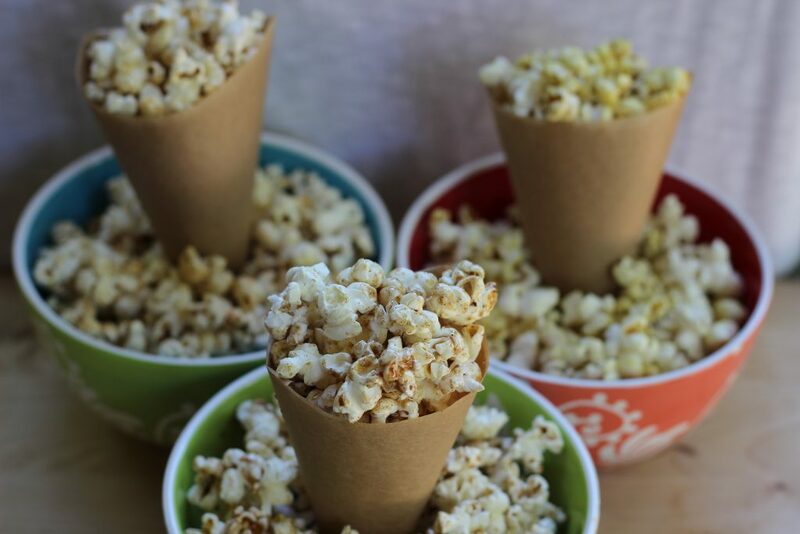 Pour over your popcorn, and toss to coat (you’ll need to use your hands to help break it up). Spread onto a sheet pan, and let sit until set. Curry Pop: Simply add the curry powder, garam marsala and salt. Toss to coat. And there you have it! 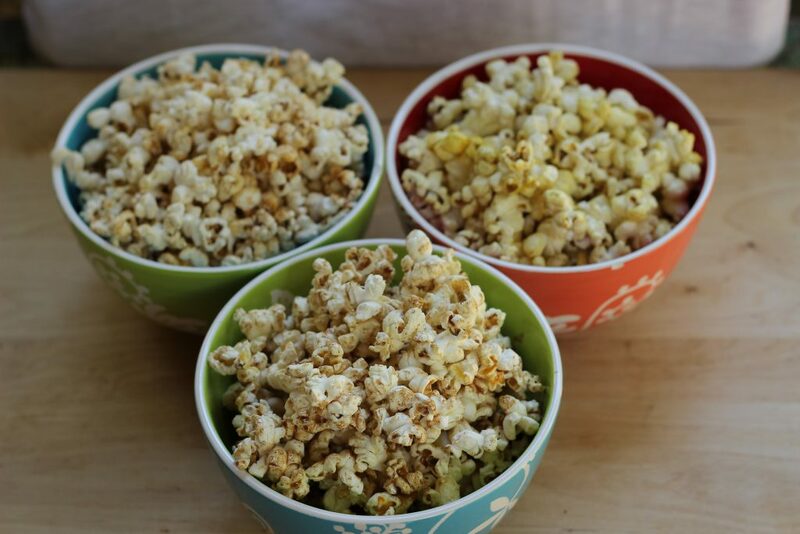 3 easy and delicious takes on a healthy snack that can please anyone. Let’s face it. Everyone craves something salty or sweet at some point during the week! 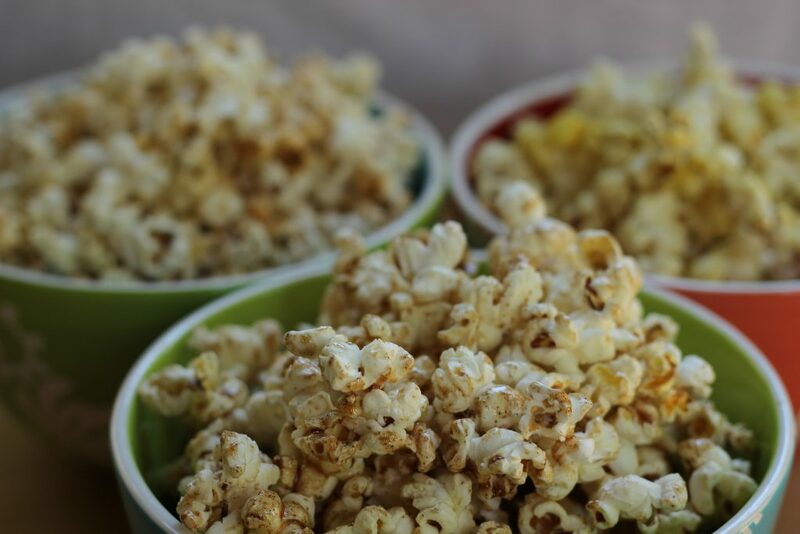 Homemade popcorn is a great option to curb those cravings, without totally undoing your health streak. Just take a look in your spice cabinet for inspiration. And it’s great to share! …Or not. Y’know. 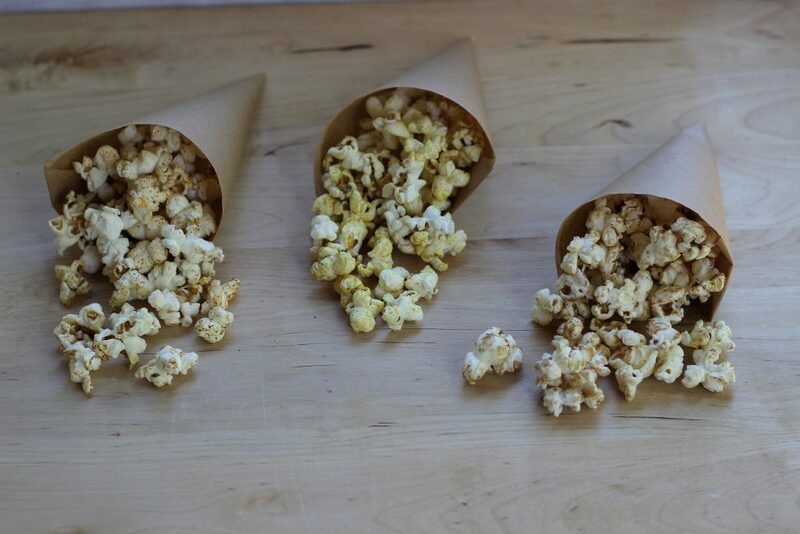 If you’re a popcorn freak like me. Hehe.